The familiar second summer conditions prevail over parts of the state with most parts witnessing warmer days, the wait for the typical September convective storm continues. The days would remain generally warm over most parts of the state, the southern parts of the state however may continue to see typical showers. If the suppressive condition would wean off and give way to some thunder activity, it largely needs to be seen. Coastal TN has still some chance of showers during evening/night. 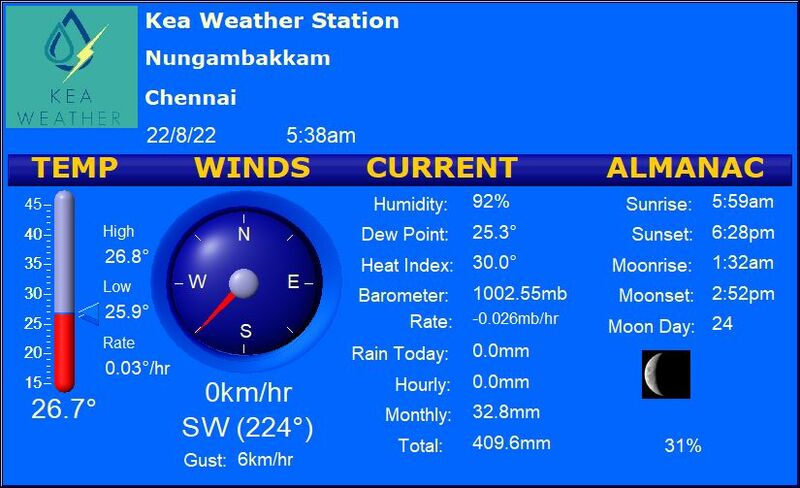 Chennai – A partly cloudy day with mild heat likely. Thundershowers possible in the night following maximum temperatures of 34-35 C.
Trichy – Typical Trichy day ahead with the thermometer clocking a high of 36-37 C. Rains possible in the evening. Madurai – A horrid day on the cards as an extremely hot afternoon seems well poised. Maximum temperatures of 38-39 C possible with chances of rain in the afternoon. Vellore – Another partly cloudy day ahead as Vellore could witness maximum temperatures of 34-35 C with rains occurring in the district later in the day. Coimbatore – Mild heat with the mercury capping at 32-33 C. Light rains possible.